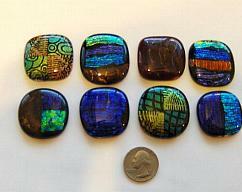 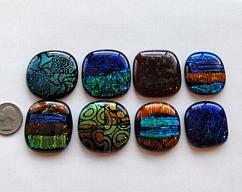 8 dichroic cabochons in variety of awesome blues, red, silver: each cab has layers and layers of dichroic glass fused as one with a cap of clear on the surface. 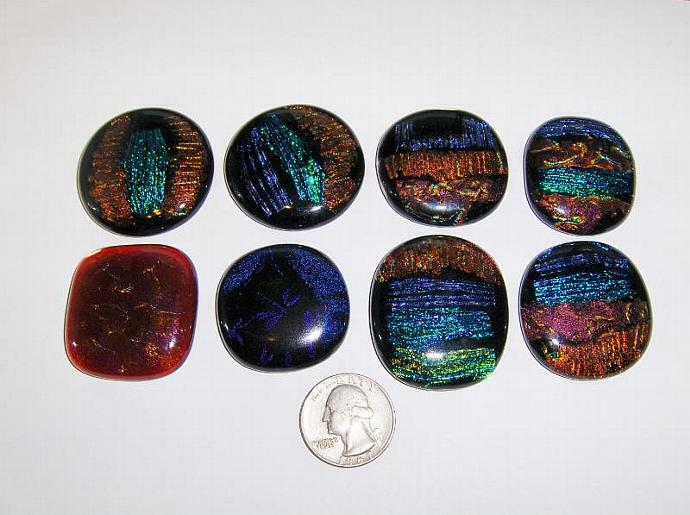 The cabs range in size from approximately 32mm x 35mm to 40 mm x 40mm and since everything is handmade they aren't exact they can be a little smaller or a little bigger. 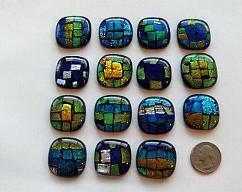 The quarter is used for reference of the size for the cabs so you can get an idea of size. 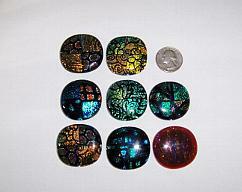 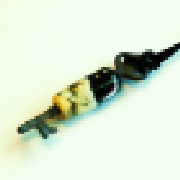 All of the cabs have a black or purple iridized base unless otherwise noted and all of the edges are smooth.